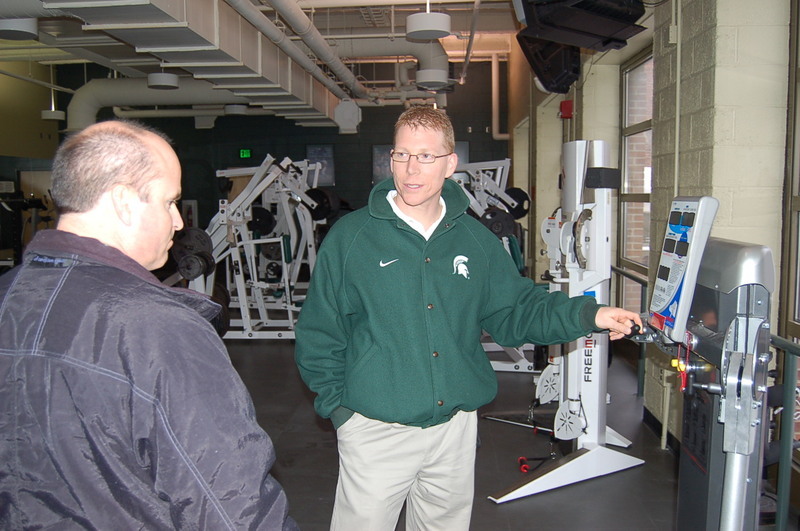 MSU's Olympic Sports Strength Coach, Tim Wakeham, gave an extensive facilities tour at the Jenison Fieldhouse to ASAP Director Ted Lambrinides and the two discussed program design, strength facility scheduling and also recent training device implementation. Later, Coach Wakeham was able to take a timeout from the MSU Strength & Conditioning Clinic and share a few minutes with ASAP Podcaster Ed Cicale for today's podcast. Just click on the ASAP Podcast logo below for today's interview. Also, be sure to check out the ASAP Photo Album for more pictures from Michigan State!